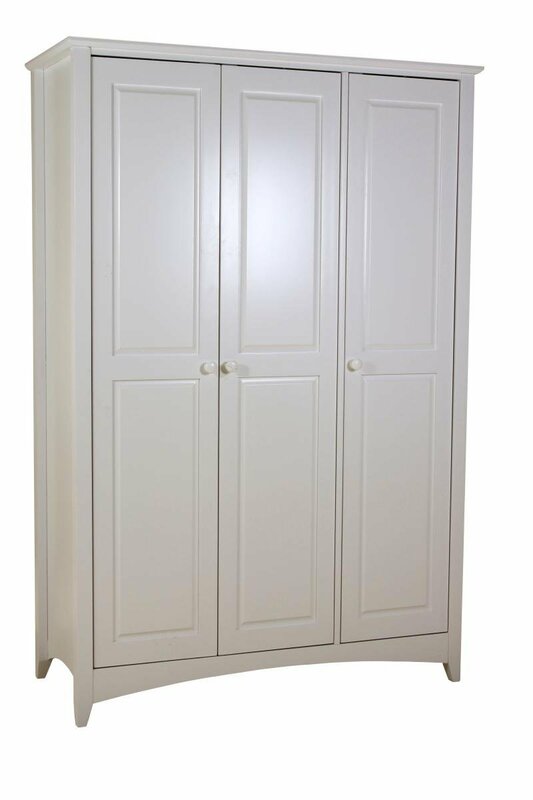 This beautiful three door Wardrobe is perfect for any Bedroom. With full-handing capabilities and shelf, the Wardrobe has ample space for all your clothing. The clean, white design gives a pleasant feel and the classic design is beautiful but unimposing. The small touches are what really give this wardrobe character: the arches bottom of the frame, the tapered top edges and ball handles have a traditional style. Also available in a three door model for even more storage space.